This lotion’s aroma won’t interfere with your other body product’s scents. It’s great for those with severe allergies and eczema. 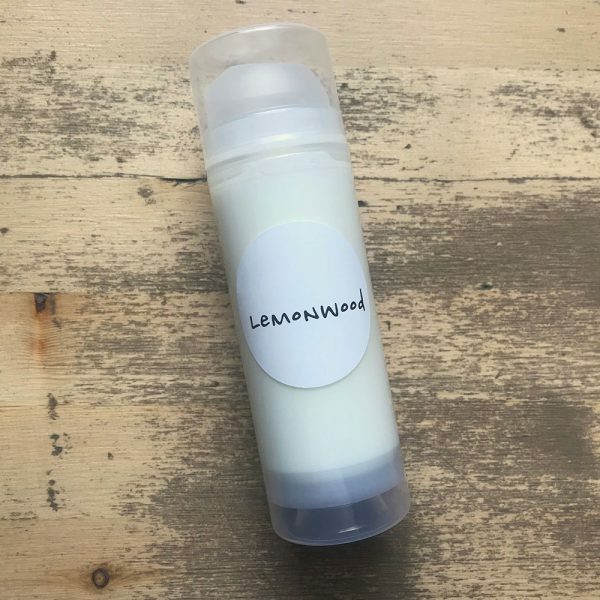 Our lotion is packaged in airless pump dispensers utilize a vacuum system to push lotion up from the bottom, eliminating the 1-2 inches of irretrievable lotion that is always left behind in regular pump bottles. Bottles are recyclable. We use rice bran oil in as our main oil in our lotion. Extracted from the hulls of brown rice, it’s super-rich in Vitamin E and anti-oxidants – more than other oils, even olive oil. This oil has long been used in Japan as a base for soap and skin moisturizers. Each batch of our lotion contains our homegrown aloe. Aloe is full of antioxidants, enzymes, vitamins A and C, and it is highly anti-inflammatory. It aides in wound healing and provides anti-inflammatory properties that reduce skin inflammation. 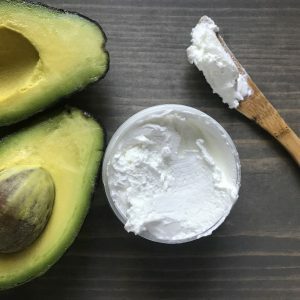 Plant-derived DL Panthenol is Pro-Vitamin B5 – skin magic. It works as a humectant by infusing water in the cells, retaining moisture deep within the skins tissues. When used in formulations over the course of three to four weeks, it has the potential to improve the appearance of the skin, including dryness, roughness, scaling, pruritus and erythema. Its moisturizing properties reduce water loss & help maintain skin elasticity and softness. Avocado oil is rich in fatty acids and is an excellent for moisturizing. In addition to vitamin E, avocado oil contains potassium, lecithin, and many other nutrients that can nourish the skin. It is soothing to chapped and uncomfortable skin. Mallow extract naturally helps oils absorb, cherished by the Ancient Romans for its soothing and protecting properties to dry and sensitive skin.